On Easter morning, after all the children have searched and found their Easter Baskets, they have another fun event to look forward to – the Easter Egg Hunt! 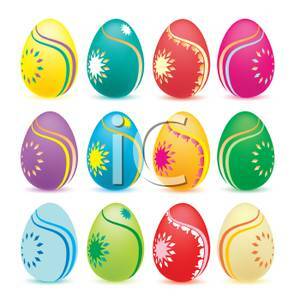 The Easter Egg Hunt is a tradition that is more than 1,000 years old. In the olden times, the day before the first day of Spring, young girls in the villages would paint eggs with the colors of Spring – pink, blue, yellow and green. They would also put their family’s name on the eggs they painted. All of the eggs of the village would be put in a basket. Someone from the village would dress up as the Easter Bunny and hide the eggs in the forest. The next day, which would be the first day of Spring, there would be a big festival. During the festival, the person dressed up as the Easter Bunny would gather all the boys from the village together. 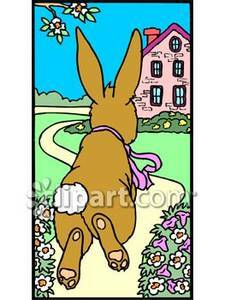 The Bunny would tell them to go into the forest and find the painted eggs. When the boys returned from the hunt, they would count the eggs to find out what families they were from. Who ever had the most eggs of one family would get to spend the day with the girl from that family. They would eat and dance together all day long. In America today, the Easter Egg Hunt is often on Easter morning. Mom or dad will hide colored eggs in the yard or around or inside the house. The children look for the eggs and gather them up. It is always fun to see who can find the most eggs. 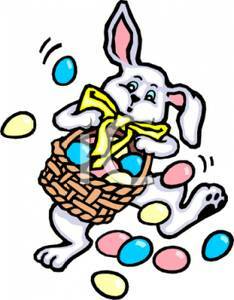 Sometimes there is a prize of candy for the person who finds the most eggs. And sometimes the eggs are plastic, not real chicken eggs. The plastic eggs can be opened and little candies can be put inside. That makes the Easter Egg Hunt even more fun! 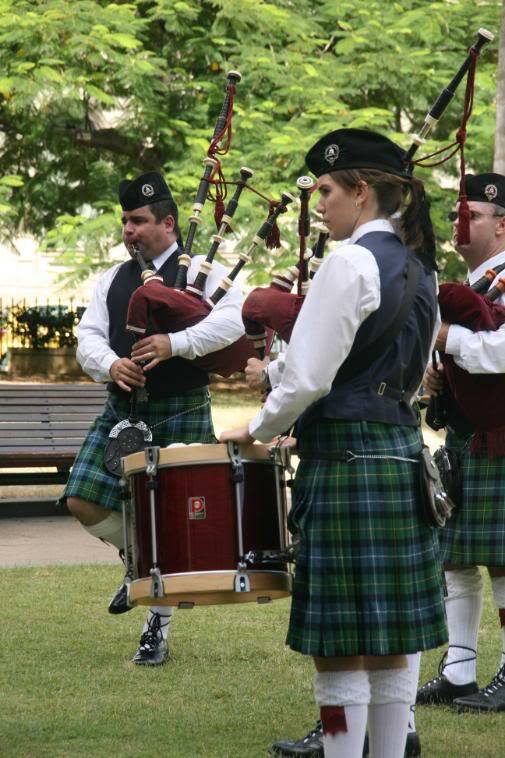 In March we celebrate spring, Women’s Day and one other holiday that is more than 1,000 years old – St. Patrick’s Day. March 17 is the feast day of Saint Patrick, the patron saint of Ireland born in the fifth century. Saint Patrick is one of Christianity’s most widely known saints. His father was a Christian Deacon and while still young, Patrick was captured by Irish raiders and imprisoned for many years. While in prison, Patrick found strength in Christianity. When he was released, he was ordained a priest and spent his life converting the people of Ireland to Christianity. Not everyone in America is Irish or Christian, but almost every American celebrates St. Patrick’s Day. More than 100 of America’s largest cities celebrate with a parade. 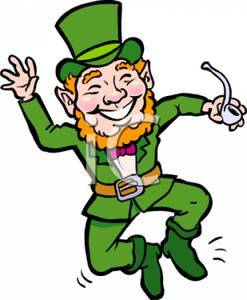 The first St. Patrick’s Day parade took place not in Ireland, but in the United States on March 17 in 1762. Irish soldiers serving in the English military marched together through the streets of New York City playing music and singing. The largest U.S. parades are held in New York City and Boston. 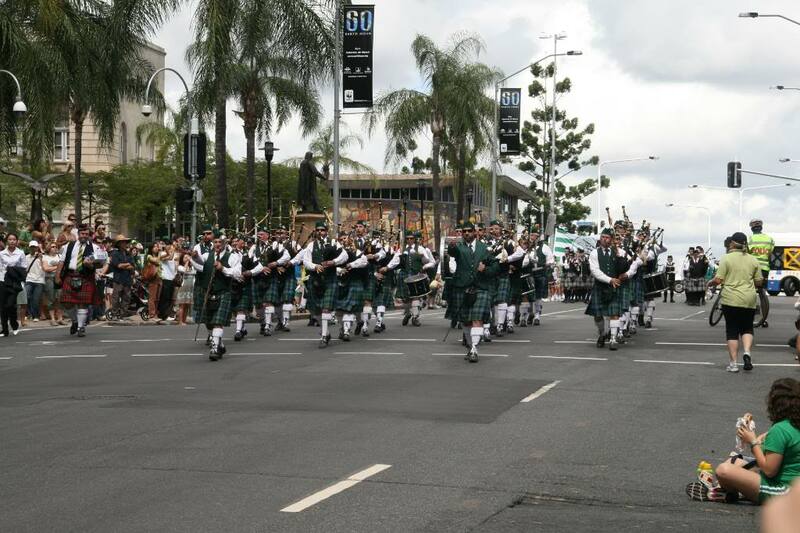 Parades include marching bands, bagpipe players, Irish dancers, green chrysanthemums and sometimes even some Irish clowns. In New York City, more than 150,000 people march in the parade and more than 3 million people line the streets to watch. Chicago has a fun Irish tradition which started in 1962 – the city turns the Chicago River green! The city workers use 40 pounds of green vegetable dye, which keeps the water green for several hours. Celebrating St. Patrick’s Day also means eating special food. Corned beef and cabbage is a traditional dish eaten for this holiday. In fact, in the United States in 2007 approximately 41.5 billion pounds of beef and 2.6 billion pounds of cabbage were sold in March. Irish soda bread is also popular on this day; this is a b read made with baking soda instead of yeast. There are many people of Irish decent living in America. Since 1820, more than 4.8 million immigrants from Ireland have been admitted to the United States. In 1845 when the Great Potato Famine hit Ireland, about a million poor Irish people came to America to escape starving to death. Today, there are approximately 36.5 million people of Irish decent living in America. That is more than the population of Ireland! In fact, people with Irish ancestry are the nation’s second largest ethnic group; the largest is German. Whatever your nationality, St. Patrick’s Day is the one day a year when everyone can be Irish! Did you know that Women’s Day has been celebrated for more than 95 years? And did you know that it is an International Holiday that is about much more than just a “thank you” to women? In 1910 in Copenhagen, the first International Women’s Conference was held. It was decided to establish a day to celebrate the hard work and valuable contributions that women make to society. The date was not set, but the idea was planted in the minds of many women. In 1910, across the ocean in America, a terrible fire at a clothing factory in New York City killed 140 workers, mostly women. Poor work conditions were to blame for the high number of deaths. Women from the all over the city came together and held a rally to fight for better conditions and safety in the workplace, and this established Women’s Day in America. Then in 1915 as World War I raged on causing thousands of deaths, Zetkin organized a rally* in Switzerland to urge peace and the end of World War I. Women from both sides of the war participated. This brought recognition to the importance of Women’s Day and the causes women supported. The most famous International Women’s Day rally happened in 1917 in St. Petersburg. Thousands of women came to strike “for bread and peace.” Riots* broke out all through the city and lasted for about five days. Women bonded together to say, “enough,” to the bad working conditions, poor families and many deaths from the war. It was Kollontai who urged Lenin to make March 8 an official communist holiday. He did, and it was accepted throughout Europe. Today all over the world, we celebrate wonderful women, their successes and contributions to society on International Women’s Day. See below for pictures of International Women’s Day events from around the world.